The French edition of François Baschet's, "Mémoires Sonores", it's been published recently by Editions L'Harmattan. 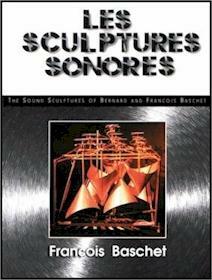 Sculptures Sonores : nom curieux et pluriel. 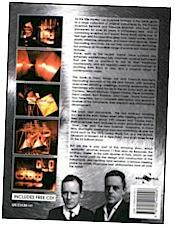 Instruments de musique entièrement acoustiques sculptés dans des matériaux originaux (métal, cristal, verre, carton rigide). 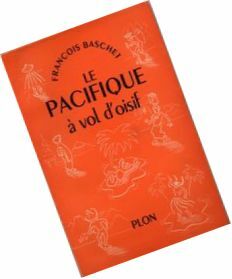 Le travail des frères Baschet, qui ont exposé dans les plus grands musées et galeries du monde entier, constitue aujourd'hui la base incontournable d'une véritable pédagogie de l'éveil musical. A l'image de son auteur, le présent ouvrage est ludique et vivifiant. 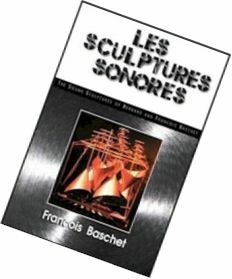 FRANCOIS BASCHET'S NEW BOOK IN ENGLISH "LES SCULPTURES SONORES". 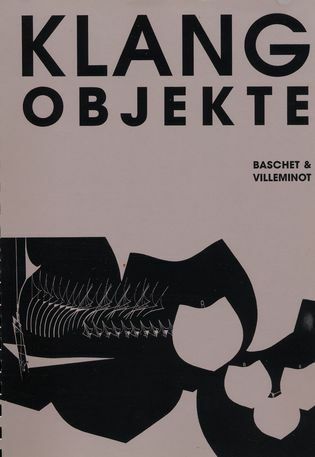 325 PAGES WITH OVER 160 PAGES OF RARE PHOTOGRAPHS IS COMPLETE WITH A FREE CD OF MUSIC FEATURING THE BASCHETS CREATIONS, DOCUMENTING RECORDINGS BY COMPOSERS AND PERFORMERS OF THE INSTRUMENTS SUCH AS DANIEL OUZOUNOFF, JACQUES LASRY, MALCOLM BALL AND MICHEL DENEUVE. 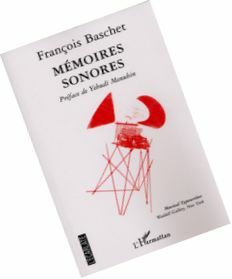 Francois new book is many things, not only a fascinating account of his life and travels, with amusing anecdotes detailing meetings, working relationships and friendships with major forces in the art and music world, such as Jean Cocteau, Yehudi Menhuin, Edgard Varese, Pierre Schaeffer, Henri Lazarof, Ravi Shankar, John Cage , David Tudor and Toru Takemitsu, but a complete description and technical analysis of the instruments, their research and chronological development. 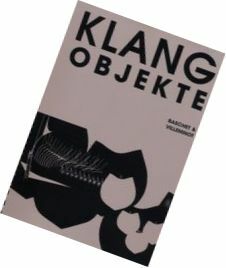 The book also documents the two brothers amazing success in the early sixties, when after meeting and forming their performance group with Jaques and Yvonne Lasry, their sculptures were featured in major periodicals such as 'Time', 'Life' and 'The New Scientist' magazine, in many films, and highly prestigious tours and exhibitions all over the world, such as The 1970 Osaka World Fair and the MOMA, (Museum of Modern Art in New York), and even three times on the Ed Sullivan show! But still this is only part of this amazing story, which 'spiritually' revolves around 11 Rue Jean de Beauvais, the brothers 'Atelier' in the Latin Quarter of Paris, which, as well as the focal point for the design and construction of the instruments, also became (and remains), a famous meeting place for artists, musicians and philosophers from all over the world!